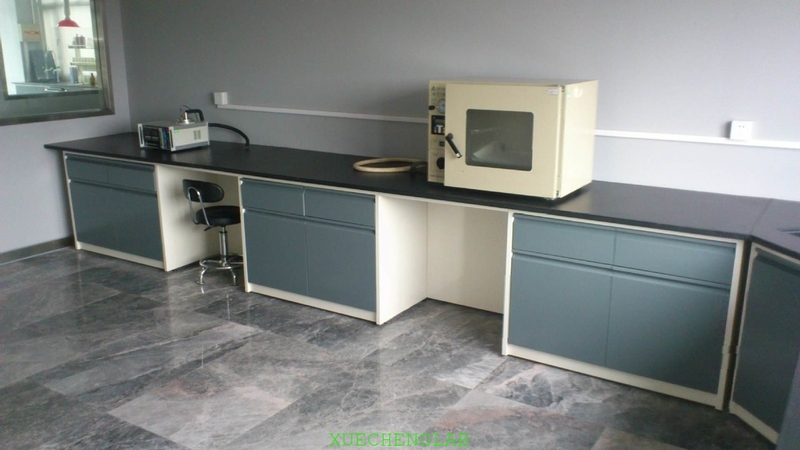 Laboratory bench is one of the basic equipment of laboratories in various industries. 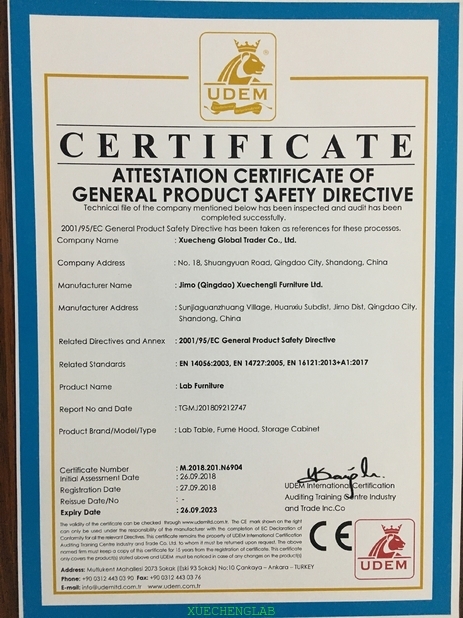 all-steel laboratory bench is one new generation of environmental protection product, non-toxic, tasteless and pollution-free, ensuring the safety and health of laboratory operators. 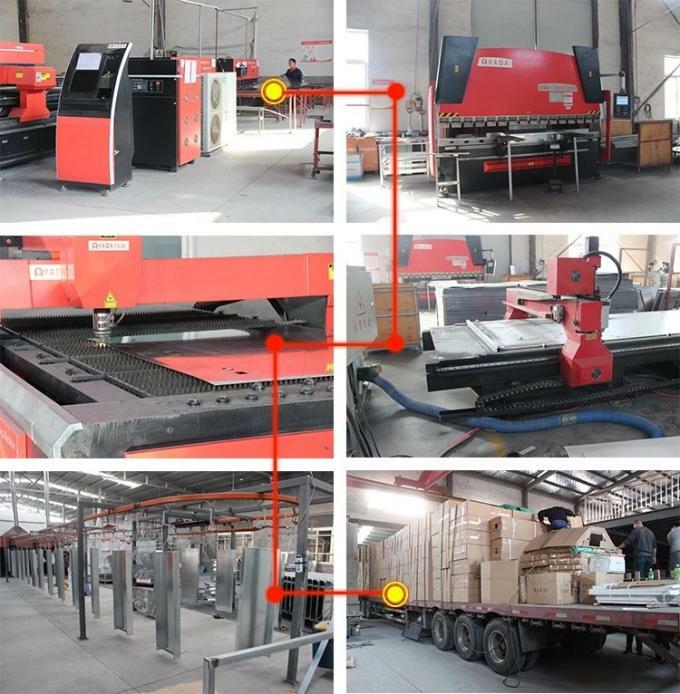 All steel structure, use cold-roll steel plate or galvanized steel sheet, hollow design for people to sit down, all steel integrative cabinet body, with surface treated by pickling and phosphating, and electrostatic coated by epoxy resin, acid and alkali resistance. Worktop: use 12.7mm thick solid core physiochemical board(epoxy resin board is optional), the fringe is thickened to 25.4mm, acid and alkali resistance, waterproof, easy to be washed. Slide rail: use advanced 3-link mute slide rail, no noise, high strength and open-close can reach over 100,000 times. 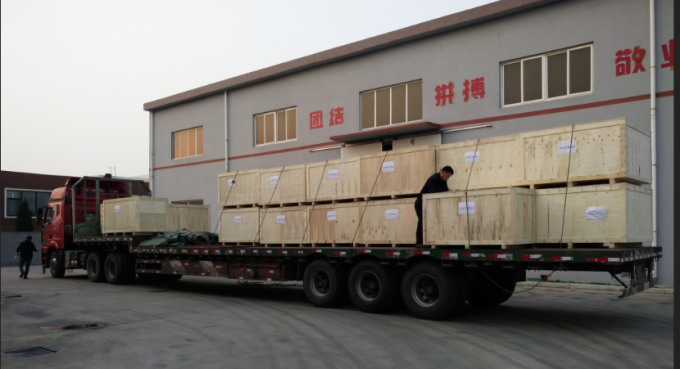 Hinge: use high quality steel hinges, opening angle 90°, no noise, no spring back, high strength and not easily be broken. Handle: use dark type aluminium alloy handle or bent integrative handle(bright type stainless steel handle is optional), strong solid and elegant appearance. 1. Length can be customized. 2. 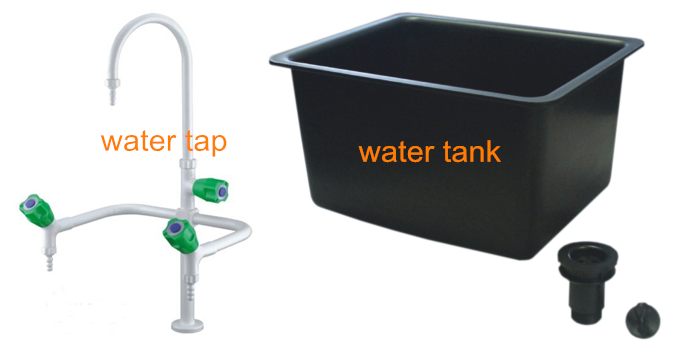 We can design and manufacture non-standard size as per users' requirements. 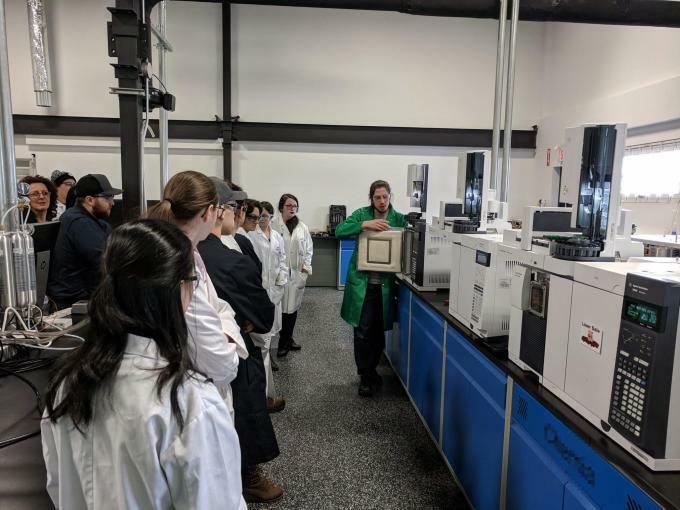 biological pharmacy, biological analysis, plant culture, environmental test, electronic instruments and scientific research, etc. 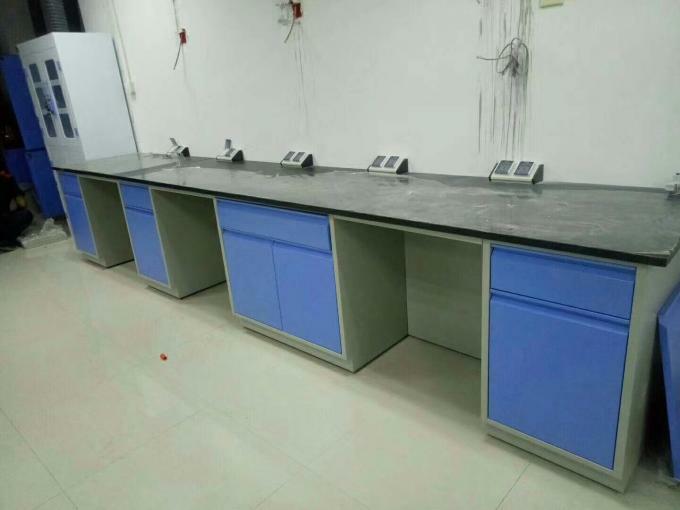 feedback from US Customer, the central benches, side benches and wall cabinets installed well in 2016, after 2 years' use, they still look perfect. 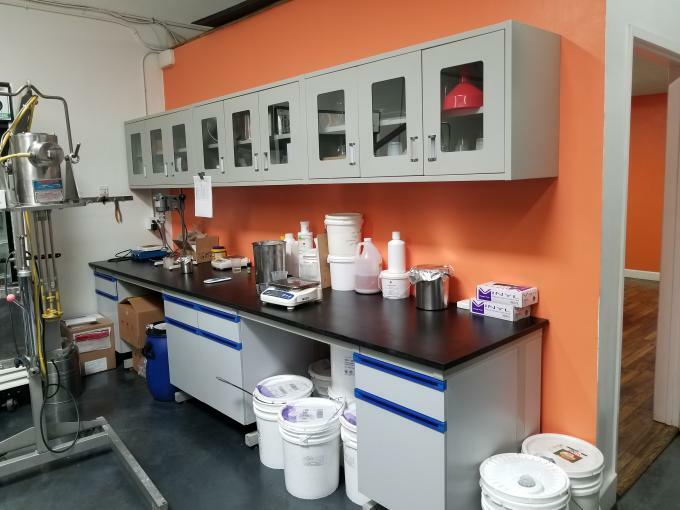 We both coperated since 2014, this time LPC(Canada) ordered some customized products in end of Nov, 2017, with benches height 950mm while the fume hoods width 900mm, which is for their own laboratory update. 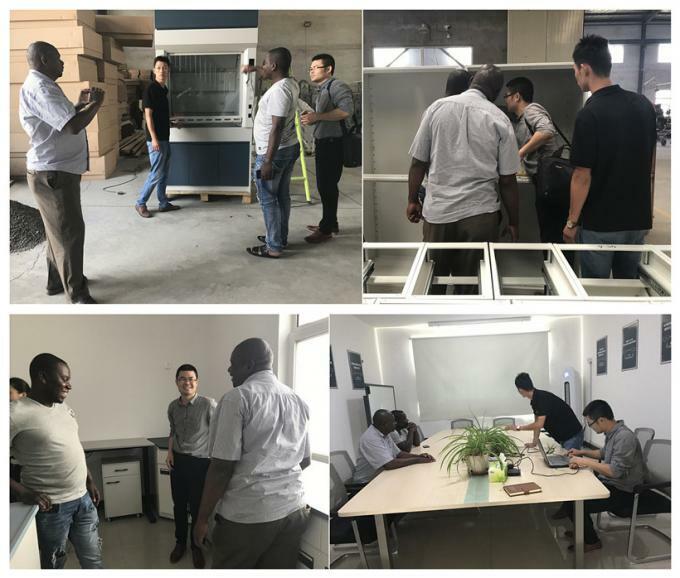 The Zambia customer only 1 guy, who ordered 13 fume hoods 1600*850*2350mm, and another 40 ones are under discussion, just wait for the goverment prodecure, will be confirmed soon. 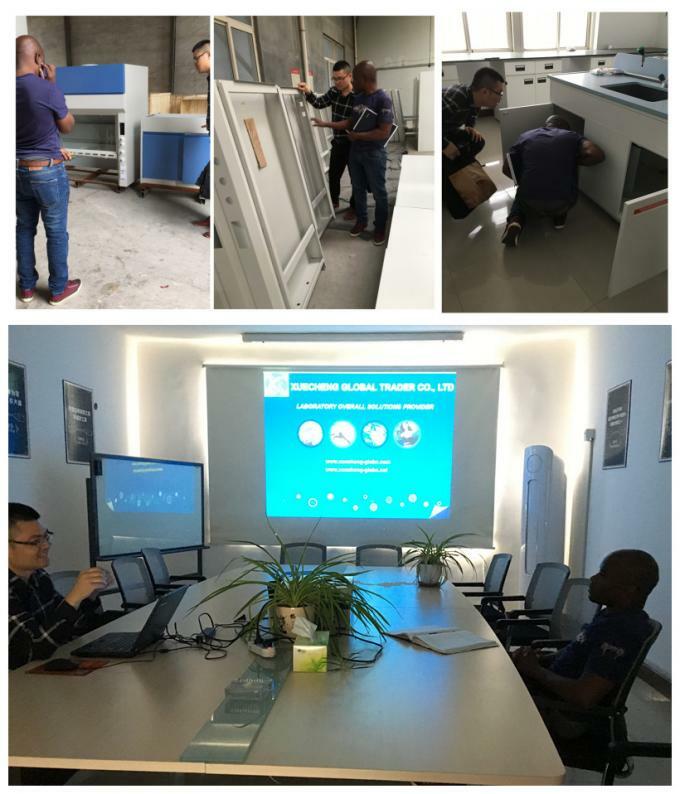 who ordered six lab fume hoods 1200*850*2350mm (also 2 emergency shower eye washes and 40 water taps)as trial order, they came to check the goods before shipping. 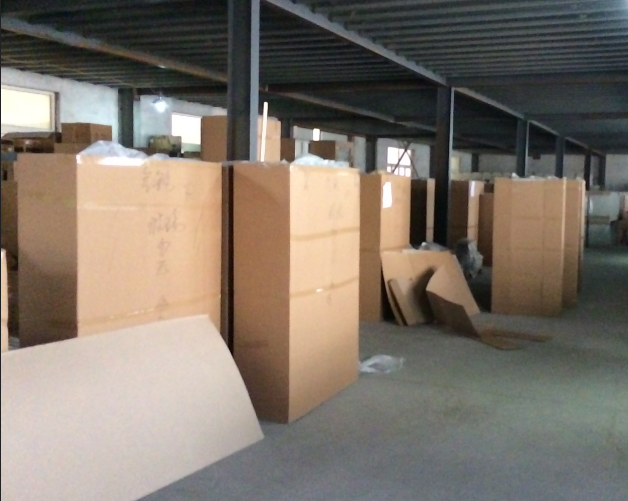 The coming sample order: island bench 3000*1500*850mm and wall bench 1500*750*850mm &wall cabinet 1500*350*600mm intended for their showing room. And we both hope to extend our products to Zimbabwe and countries nearby, and the sole distribution agreement under discussion.